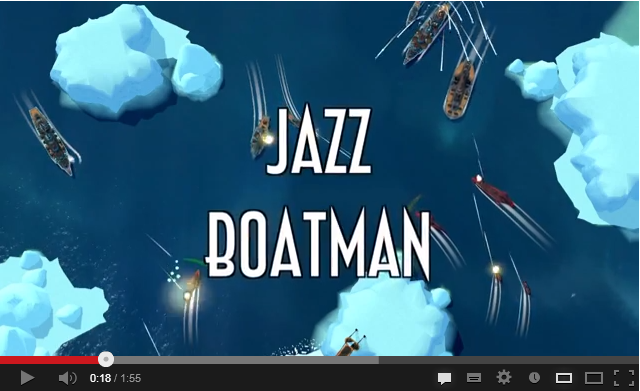 This week paradox interactive has proven that with a little slow jazz and a deeply seductive and dulcet voice-over, even a turn-based strategy about warships came blossom from relative obscurity to a must-buy purchase with Leviathan: Warship’s brilliant ‘jazzy trailer’. In celebration of the marketing masterstroke, Pixebedlam presents the games that grabbed the concept of viral buzz with both hands and shook it until the sweet reward of international acknowledgement dropped out. Mercenaries 2 was by no means a bad game; it was a satisfying enough addition to the open-world genre but generally unspectacular and ultimately forgettable. Its launch advert, on the other hand, proved a masterstroke in hype and one that still lingers long in the memory, remaining in the itunes libraries of gamers long after the game itself had left their possession. It has even spawned streams of remixes and tributes on Youtube using games from Halo to GMod. We would apologise in advanced for getting the tune stuck in your head for the rest of the day but it’s awesome, so no apology needed. Piracy is, of course, a bad thing. The ability to download almost anything and everything without ever moving from your chair has had a massive impact on the entertainment industry, leading to a massive clampdown on sites such as Megaupload and fining those found responsible hundreds of thousands of pounds. It was certainly a risk that paid off. 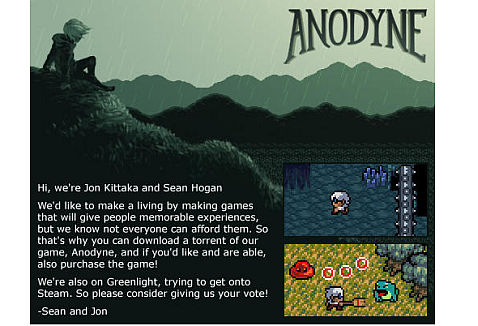 After getting articles on torrenting sites and making it all the way to the fabled front page of reddit, Anodyne created a hype it would never have previously dreamed to achieve. Despite openly giving it away for free for a week, the creator’s blog explains how the game went on to sell very well during the promotion period. Another genius use of piracy but this time from a completely different angle. 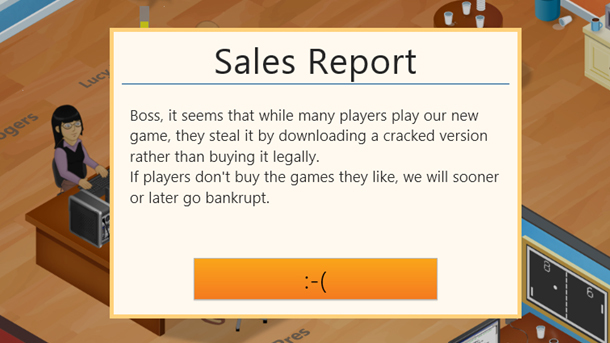 Much like Anodyne, the creators of game Dev Tycoon, a simulator where the player has to make games and see how well they sell, released a pirated version of the game themselves after seeing nearly all of the initial copies being played by pirates. In a beautifully ironic twist, the creators of GDT released one subtle (but brilliant) addition to the coding; gamers who pirated the game saw their in-game creations pirated, resulting in a massive loss in profits and making it impossible to complete. The pirates then complained about their games in their pirated game being pirated, giving birth to one of the best gaming stories this year and giving the game the attention it would never have previously received (and also leading to the most uses of pirate in sentences in gaming sites across the web). When Youtube was in its infancy many years ago, no one would have predicted that the prominence of chocolate-themed weather songs and the history of human being’s movements to music would be usurped by videos of people young and old playing with the next-generation LEGO. Minecraft wasn’t even in its full release stage by the time it became an online sensation and has since gone on to be one of the best selling and most popular games of the generation. Minecraft’s success though is a unique one in modern day gaming. It is not one built by AAA development studios, it did not have a multi-million pound advertising campaign behind it. It was just a humble indie game made by Markus “Notch” Persson that proved word of mouth and viral buzz can be just as powerful as international advertising campaigns. Much of the game’s success can be contributed to its community built through the internet (mainly Youtube), where players can share their amazing creations around the world. If any game didn’t need a hype machine, it is an MMO set in the Star Wars Universe. Despite years of seeing their beloved franchise saturated with merchandise and less than stellar games, fans continue to lap up anything from the mind of George Lucas. SWTOR needed only to be announced to send loyal fans into a frenzy excitement and eager anticipation. Instead we were treated to quite possible the greatest video game trailer ever, a brilliant CGI five-minute short arguable better than the entire prequels. It was the first of many cinematic trailers for the game, which have since been stitched together into a 15 minute short film.